One of the hardest things Sydney homeowners who care about their lawn and garden need to contend with during a drought is maintaining their gardens. 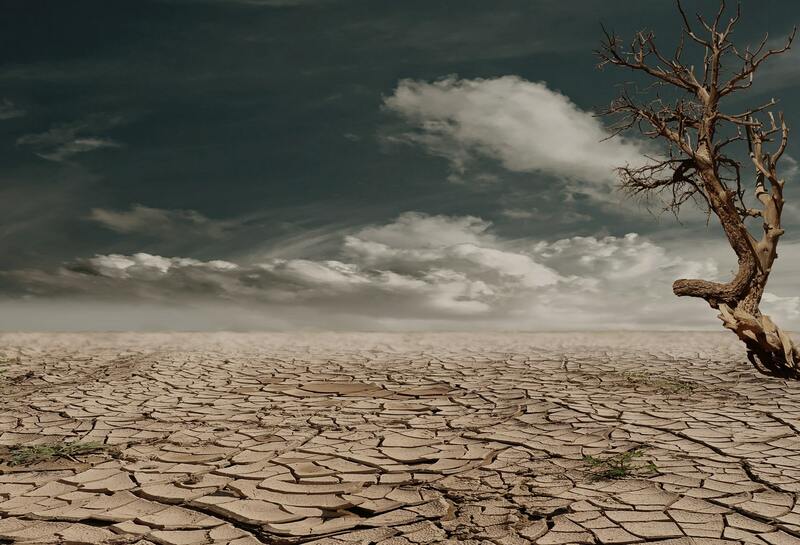 Droughts are difficult on landscaping because the lack of rain and often relentless sun makes it impossible for vegetation to grow. Add in the very strong likelihood of local water restrictions and rules regarding how often you’re able to water your lawn and you’re probably terrified that you’ll be left with an unsightly, Sahara-like garden. In addition to a less attractive-looking garden, you’ll also be dealing with a garden filled with considerably weakened vegetation that’s more susceptible to damage (or death) from insects and/or disease. The good news is that there are things that you can do to help your garden get through a particularly tough drought season. Check out below for garden maintenance tips and ideas for drought conditions. Don’t mow your lawn more often than every two weeks. When you do mow your lawn, make sure that the blades are on the highest setting so that you don’t cut it too low. Don’t cut more than a third of the grass’s height. When you’re done mowing, make sure that you leave the clippings where they are. They will provide nutrients for the newly cut grass as well as provide coverage from the dry air. During drought conditions, figuring out how often to water plants on your property is very important. Since efficient use of water is so critical at this point, don’t water your garden indiscriminately, wasting water on plants that don’t need as much water as thirsty ones. By installing a drip immigration system, you’ll be able to direct the water flow to exactly where it’s needed. With this system, a slow, steady stream of water spreads through the ground slowly over an extended period of time. Not only is this process helpful for managing water consumption, but it’s also good because the water is able to penetrate deep into the soil where it can be absorbed by plant and grass roots, keeping them healthy. Irrigation systems also use up to 50 percent less water than sprinklers or hoses. This is another tip that seems like it goes against common sense, but it really does make sense. Stop feeding your plants fertiliser once a drought begins. Fertilisers are obviously used to encourage plants to grow. When plants grow, they need a lot more moisture and water. Cut out the fertiliser so that they don’t need more water than they’re currently getting. Another reason to cut out fertiliser during a drought is that under normal rain conditions, fertiliser salts drain out and away from your soil and plants. When there is no rain, the salts build up around the roots, burning and damaging them. Soil becomes very dry during drought periods. If you add a two-to-three-inch layer of mulch over your garden’s soil, you’re helping the soil stay cool while protecting it from the intense heat and rays of the sun. Mulch also allows soil to remain hydrated longer. This means when your garden is watered, the moisture in the soil will stay longer without evaporating. Mulch also helps keep your plant leaves dry, preventing them from developing fungal diseases and mould issues. You can use artificial or organic mulch, but be aware that organic mulch decomposes during the growing season. Under normal circumstances, it usually disappears by the middle of the summer. Make sure that you replace organic mulch as often as needed. Weeds are an irritant anyway, and you always want to get rid of them. In drought conditions, they’re more dangerous than ever. Weeds rob your garden of valuable moisture. Weed as often as possible so that your plants can stay well hydrated and safe. Prune your plants a lot more frequently during droughts. Even if the plant is completely healthy, try and prune it back by about a third. Cutting it back will mean that it will not need as much water, allowing the plant to live longer on less water. Trees and shrubs should generally be exempt from pruning because their canopies are what keep them cool during the hot days. If you were to prune them, they would become more stressed and damaged from the dry, hot air. Learn how to perfect your pruning skills here. Get rid of wilting and dying blooms and leaves before they have a chance to set seed. This will allow your plants to save their energy since they expend a lot of it when they’re producing seeds or if they’re being forced to keep dead foliage alive. Even when you’re indoors, think about recycling water to use for your garden. If you have a jug or pitcher of water that has not been emptied, put it to the side and use it in the garden. You could even set aside a designated ‘garden’ pitcher in your kitchen. Once it’s full, water away!